I was shifta level 20 or 21 now I'm embla level 2!!!!! Just posted your problem on Discord for you. Might want to go to Help and put in a ticket with your player ID #. It's apparent you having been enjoying Solgard for quite some time @shifta . Hang in there... Snowprint is usually pretty quick at problem solving. I have a lot of faith in the Bug Extermination Squad at Snowprint. 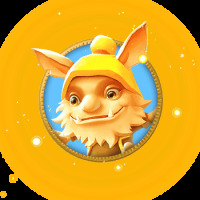 Sure, there are growing pains with the new release, but if we can work through the issues together, by players notifying Snowprint of the problems, and Snowprint fixing them, the game will only improve. It was Nordic trolls that messed with your player account! Just checking in.... you all fixed yet?